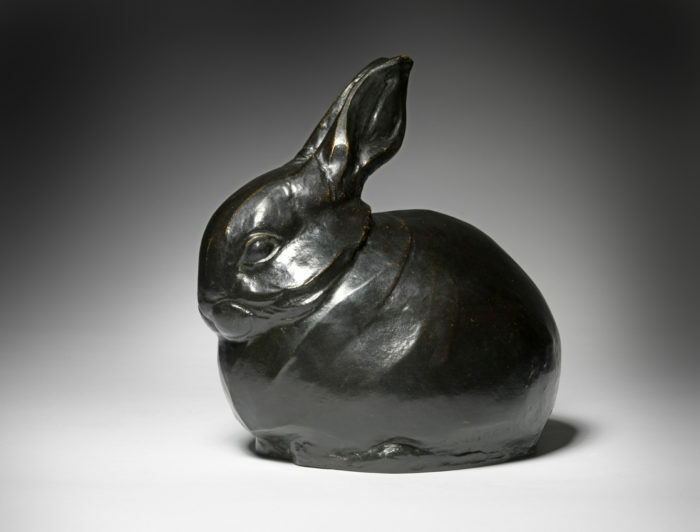 A fine quality, early twentieth century bronze model of a ‘Resting Rabbit’ by Raphael-Louis-Charles Diligent (French, 1885 -1965). This sculpture was cast in bronze by the lost wax process at the Hébrard Foundry, Paris. Prior to casting it was signed, stamped and lettered in the wax: ‘R. Diligent’, ‘A. A. Hébrard Cire Perdue’, and has a dark brown black patina with golden undertones.